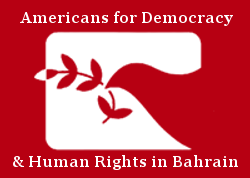 20 March 2017 – Americans for Democracy & Human Rights in Bahrain (ADHRB) is alarmed to hear the news that the United Arab Emirate (UAE) authorities have detained prominent human rights defender Ahmed Mansoor. The reason for Mansoor’s arrest has not yet been confirmed, and his location is currently unknown. Mansoor could be at risk of ill-treatment or torture while in detention. News broke early today that the UAE authorities arrested Mansoor, though the reason for his arrest is still unclear. 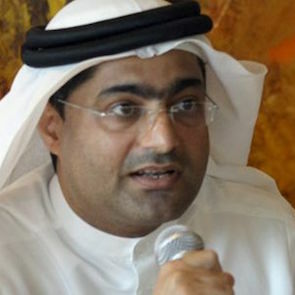 The International Campaign for Freedom in the United Arab Emirates has reported that the arrest may be in relation to a letter Mansoor allegedly supported along with dozens of other human rights defenders. The letter was sent ahead of the Arab League summit later this month and reportedly calls for the release of prisoners of conscience in the Middle East region. This is not the first time the UAE government has targeted Mansoor for his human rights work. In 2011, security officials arrested Mansoor and four other activists after they petitioned the government for legislative reforms. The Federal Supreme Court convicted all five activists on charges of insulting the country’s leadership and endangering national security, and sentenced them to prison terms ranging from two to three years. The next day, the five men received pardons. Since his 2011 arrest, Mansoor has been the victim of several cybersecurity attacks by the UAE government. From 2011 through 2014, the UAE authorities infected Mansoor’s computer with spyware on a number of different occasions to monitor his online activities. Most recently in 2016, Canada-based technology rights group Citizen Lab uncovered an invasive spyware hack that would have turned Mansoor’s cellphone into a monitoring device. While Citizen Lab noted that it is impossible to prove the source of the attack, the UAE government’s history of violating technological privacy, the cost of the spyware (which is listed as a government-only program), and the prominence of Mansoor as a political dissident leave few credible alternatives. Mansoor is the recipient of the 2015 Martin Ennals Award for Human Rights Defenders. The award celebrates human rights defenders who have demonstrated strong commitment to promoting human rights, despite the great risk to which such advocacy can expose them. Mansoor achieved the award for his ongoing work to raise awareness of systematic human rights violations in the UAE, including arbitrary detention and torture. ADHRB condemns in the strongest possible terms the arrest of Ahmed Mansoor and calls for his immediate and unconditional release. At present, the UAE authorities have not yet disclosed Mansoor’s detention location. Authorities must ensure Mansoor’s safety and well-being until he is released, and must inform Mansoor’s family and legal representatives of his location if they have not yet done so.